Conor Casey, a 38-year-old designer and carpenter, has a stroke that leaves him mentally challenged and much changed. When he is sent home after a stay in the hospital and rehab, an American doctor accompanies him to document his recovery and unfolding family interactions. Dr. Fielding’s grant funds provide a source of income to the family Conor is now unable to support. Vanetia, his wife, struggles with having to live with the doctor’s filming their lives and her now childlike husband. But she soon values the doctor’s calming influence on her family and his friendship. I love the way they use humor to handle a sad situation and love the Irish flavor of their lives. 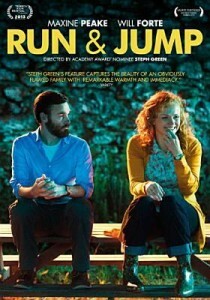 Run & Jump is an interesting look at family dynamics, genuine emotions, and what family means to these individuals. 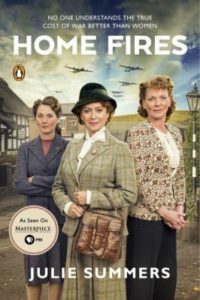 This British LGBT historical comedy drama is based on a true story. Lesbian and gay activists raised money to help the striking British miners in 1984. The National Union of Mine Workers was reluctant to accept the group’s support because of publicity worries of being associated with a gay group. So the activists took their hefty donations directly to the small mining village of Onllwyn, Wales. What results is a wonderful story of the unlikely alliance between the two communities. It is told with love, dignity, and comedy. I found that Pride kept its political correctness while providing good entertainment with a cast of wonderful actors like Bill Nighy, Imelda Staunton, Dominic West, and more. 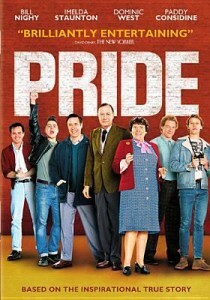 For another take on Pride, read Jez’s review here. 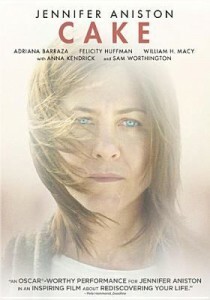 I think the most interesting part of Cake is the amazing performance of Jennifer Aniston as Claire Simmons. She is a well-off L.A. divorcee who is a chronic pain sufferer due to the fact she was in a car accident that killed her son and left her with physical and emotional scars. Claire is cranky, bitter, lies, steals to get what she wants, usually Percocet and the like. Even the people who are paid to be nice to her can’t stand her. She gets kicked out of her support group for expressing her admiration for a member who had leaped off the freeway overpass to her death. Thank goodness the relationship between Claire and her Mexican housekeeper provide her saving grace. Claire still is rude to Silvana but comes to her rescue in one scene which gives the viewer a hint that there is some kindness under that horrible behavior. As the movie progresses you wonder: will she ever clean up her act or have the ultimate meltdown? 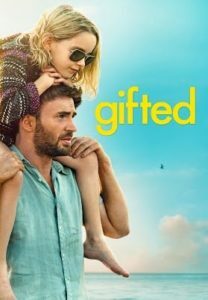 This romantic comedy/drama tells the story of Oliver, reflecting on the life and death of his father Hal, and his new romantic relationship with Anna who is dealing with her own father issues. Christopher Plummer won an Academy Award for Best Supporting Actor for his performance of Hal, the father. Shortly after his wife’s death, Hal came out as a gay man. He becomes active in the gay community, becomes more honest with himself and thus grows closer to his son. Shortly after Hal dies, his son Oliver meets Anna at a party and decides to pursue a romance with her. 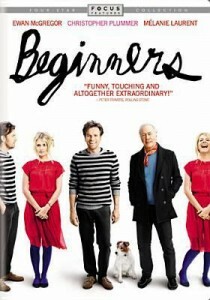 Beginners is a personal story, a touching story. Described as a quirky comedy, the viewer watches a man in late bloom and his the effect it had on his son’s life. The year is 1987 and recent college graduate James Brennan (Jesse Eisenberg) is making big plans to tour Europe and attend graduate school in pursuit of his dream of a career in journalism. Big financial problems arise and he instead starts to look for a summer job. He finds one at a run-down amusement park in western Pennsylvania. He meets Emily (Kristen Stewart), a coworker and develops a relationship with her. 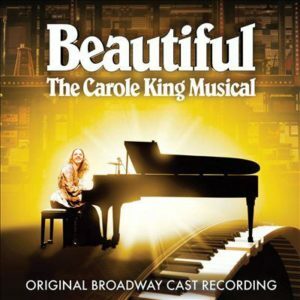 James falls in love with Emily but later finds out she is seeing another worker at the park. They break up while the whole entire amusement park knows all about them. Emily leaves for New York, humiliated and sad she broke James’s heart and lost the best chance at love. James shows up at Emily’s apartment in New York and tells her he sees her in a different way than she sees herself. 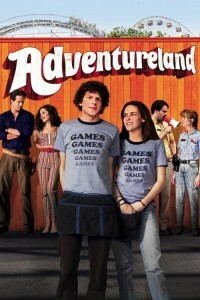 Adventureland is full of humor, nostalgia, a sweet coming-of-age story that adults and teens will enjoy. This insanely hilarious movie tells the story of the swinging 60s in London. The music was the rage for every kid who had a transistor radio to his ear or under his pillow at night. The BBC was only playing less than an hour a day. Pirate radio stations on ships anchored off the coast of England played 24/7. 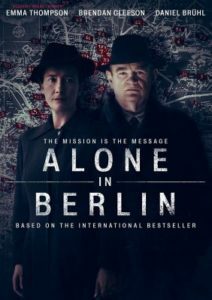 Of course, you need a “bad guy” to keep the story interesting, and he appears in the form of Kenneth Branagh as an uptight politician vowing to shut down pirate radio stations. 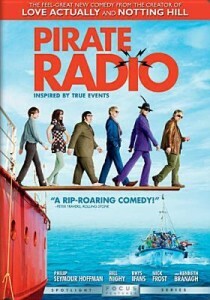 Bill Nighy, Philip Seymour Hoffman, and more star in Pirate Radio, which is an amusing tale – but the real treat is the music!